if Beelzebub existed, because He was interested in getting His message through to His audience. So in the same way Jesus talked about casting out demons – He did not keep saying, ‘actually, they do not exist’, He just preached the Gospel in the language of the day. 1:9,10 When Elijah is ordered by the captain of 50 to “come down”, Elijah responds by saying “let fire come down”. Elijah sees himself as the fire sent from God; he associates himself directly with God and His judgments. He hadn’t learnt the lesson that God wasn’t in the fire but in the small voice. The captain wanted Elijah to come down from the high hill (cp. Heaven), so Elijah calls fire to come down from Heaven. He sees himself as the fire, as God coming down. The incident is specifically rebuked by the Jesus as not being of His Spirit (Lk. 9:54,55). And He rebukes His followers for assuming that their natural prejudice against others can be justified by an appeal to Elijah’s example. Elijah failed to see the value of those 100 lives; the value and meaning of persons was lost on him. All he could think of was fighting apostasy and judging it. Elijah called the fire down in allusion to how fire came down from the Lord to destroy Nadab and Abihu and also Sodom (Lev. 10:2; Gen. 19:24). He did the wrong thing from wrong motives and yet he Biblically justified it- for the prophets themselves saw an apostate Israel as being like Sodom (Is. 1:10). Elijah had the wrong attitude, lacking the spirit of Christ, and yet God still heard his prayers; God worked with Elijah as Elijah wanted. And so we perceive the subtleties of a man’s relationship with God. Prayer may be answered, and the extent of Elijah’s faith in ‘commanding’ the fire to come down is indeed awesome, but we may even then still be ‘playing God’ in a wrong way. 1:15 Don’t be afraid of him- Elijah may appear to have been a fearless aggressor, but underneath he was fearful, just as the Canaanites seemed so strong but in fact they were very fearful. Others’ aggression to us is sometimes simply because they fear us on some level. 2:11 Into the sky- This doesn’t mean that Elijah went to get his reward in Heaven. Nobody has ascended to Heaven (Jn. 3:13). Jesus was the first person to be given immortality (1 Cor. 15:20), and was the only person who never sinned. Elijah therefore had to die, because the wages of sin is death (Rom. 6:23). The Bible presents the Kingdom of God on earth as the reward for the righteous, not going to Heaven at death. The dramatic snatching away of Elijah was in order to openly demonstrate that his public ministry had ended and been passed on to Elisha. It seems Elijah was snatched away into the sky and returned to earth somewhere else- hence the men go searching for him (:16). It seems this happened often in Elijah’s life (1 Kings 18:12). Some time after this, Elijah sent a letter (2 Chron. 21:12)- implying he was on earth. 2:12 The chariots and horseman of God appeared; and Elisha perceived that Elijah had finally become identified with them. For Elisha sees them and then describes Elijah as being them- the chariot and horseman of Israel. The Hebrew word for “mantle” is translated “glory” in Zech. 11:3. Elijah had earlier wrapped his presence in his own mantle / glory, rather than face up to the implications of God’s glory. But he got there in the end; hence the enormous significance of Elijah giving up his mantle when he finally ascends to Heaven in the cherubim chariot. Finally, Elijah became part of God’s glory; He merged into it rather than resisting it for the sake of his own glory. He was the charioteer of the cherubim; for his prayers had controlled their direction. This identification of ourselves with God’s glory, this losing of ourselves and our own insistence upon our rightness, and our focus on others’ wrongness... this is the end result of our lives if they are lived out after the pattern of Elijah’s. See on 13:14. 2:19 It could be that the people thought that the barren land was causing their women to be barren. This was evidently an incorrect superstition of the time; barren ground cannot make the women who live on it barren. But Elisha does not specifically rebuke them for believing such nonsense. Instead he performed the miracle of curing the barrenness of the land. The record says that there was no more barrenness of the land or women “according to the saying of Elisha which he spake”. Normally the people would have recoursed to wizards to drive away the relevant demon which they thought was causing the problem. But the miracle made it evident that ultimately God had caused the problem, and He could so easily cure it. This was a far more effective way of sinking the people’s foolish superstition than a head–on frontal attack upon it. The way Jesus dealt with the demons issue in the first century is identical in principle. 2:21 Land and water were seen as barren and bad because they were salty (Dt. 29:23; Jud. 9:45; Jer. 17:6); to put salt into bad water to cure it was therefore counter-instinctive. But this is how God loves to operate; we have to recognize the badness and acknowledge that God can work through it. Hence in this case, salt was used to cure saltiness. 2:23 Go up, you baldhead- They were doubting that Elisha was really in Elijah’s place, and were asking him to go up into the sky as Elijah had done; and they mocked the difference between hairy Elijah and Elisha’s baldness. 3:7 Jehoshaphat had been taught in 1 Kings 22:32 the error of association with the wicked kings of Israel; he learnt the lesson when it was repeated in 1 Kings 22:49; but now he fails the test again. Thus Jehoshaphat found himself repeating his words of 1 Kings 22:7 when he says “Isn’t there here a prophet of Yahweh, that we may inquire of Yahweh by him?” (:11). This is too often the pattern of our lives; God brings repeat situations, in essence, into our lives; sometimes we learn the lesson, other times we don’t. But through it all, He seeks to patiently teach us His principles and obedience to His ways. See on 7:18. 4:3 Don’t borrow just a few- According to the level of our faith, so life will be unto us. The more and the larger the containers borrowed, the more oil they would have. God’s power and ability is unlimited; it is us through our faith who control the extent of His activity (Mk. 9:23). 4:4 Shut the door- This is emphasized (:5). God’s response to human faith is a very personal thing, not to be bragged about. Our relationship with Him is ultimately personal. 4:9 I perceive that this is a holy man of God- It seems Elisha said nothing of his ministry as a prophet; he simply stayed at the woman’s house when travelling. But our relationship with God will be perceived by others in the end, even without our specific preaching (1 Pet. 3:1). 4:13 This care- The Hebrew word for "care" here also means "reverence". To reverence someone is to care for them. Care therefore comes out of a respect / reverence for the person. If we respect persons for who they are, we will care. Care in that sense can't in any sense be properly done or shown if it's simply from a sense of duty, because we're paid to do it, because we might get some benefit from doing so, etc. It arises out of a basic respect for the human person, made as we are in the image of God. 4:29 Christ’s command in Lk. 10:4 to go preach the Gospel and greet nobody by the way (greetings in the East can take a long time) clearly alludes here. We are all to have the urgent intensity of Gehazi in taking the hope of resurrection to others. 4:33 Shut the door... and prayed- Jesus as it were takes a snapshot of this moment and posts it as a pattern to each of us (Mt. 6:6). Biblical characters like Elisha thus cease to be distant figures, but are to be realistically followed by us as living examples. 4:34,35 1 Kings 18:42 says that Elijah cast himself down in prayer. The Hebrew word occurs again only here, as if it was Elijah’s example which inspired Elisha likewise to cast himself down upon the child. The implication is that Elisha did so in prayer; and we wonder whether this implies that Elijah’s stretching himself upon another child, although a different Hebrew word, was also in prayer (1 Kings 17:21). Elijah’s prayerful example inspired another. Our attitude to prayer is so easily influential upon others, and we ourselves are likewise easily influenced. It should be no shame nor embarrassment to us to instantly break into prayer, nor to kneel down to further our intensity in prayer, regardless of the social embarrassment this may involve in some cultures. But we have to ask: Do we cast ourselves down in prayer as Elijah and Elisha? Do we know that kind of intensity in prayer? 4:42,43 This incident presents Elisha as a clear type of Christ, who did the same in His feeding miracles (Mk. 8:6-8). Those who know God's word will find encouragement there in their experiences of life- but that encouragement is dependent upon their appreciation of the word, and their ability to see the similarities between their situation and that of others who have gone before. An example is to be found in the way the Lord told the disciples to feed the crowd, when they had nothing to give them (Mk. 6:37). He was actually quoting from :42, where the man of God told his servant to do the same. He gave what bread he had to the people, and miraculously it fed them. The disciples don't seem to have seen the point; otherwise, they would have realized that if they went ahead in faith, another such miracle would likely be wrought. But it seems that God almost over-ruled them to make the response of the faithless servant of :43: "Shall we... give them to eat?" (Mk. 6:37). They were almost 'made' to do this to make them later see the similarity with the 2 Kings 4 incident. If they had been more spiritually aware at the time, the Lord's quotation would have been an encouragement for their faith. 5:3 The girl said this in total faith; because at that time, no lepers had been healed by Elisha in Israel (Lk. 4:27). This girl had great spirituality; she had been taken captive by the Syrians (:2) and so had almost certainly been raped and abused, and now she was a domestic slave, possibly still liable to abuse. But she so loved her enemies that she wanted the army commander to be healed- when he was the visible figurehead of the organization (i.e. the Syrian army) which had abused her. 5:9,10 Naaman was the chief of the Syrian army and could easily have killed Elisha or destroyed his home. But Elisha isn’t courteous to him, doesn’t open the door of his home, but just sends someone to Naaman to tell him to go and wash in Jordan. This wasn’t rudeness, but rather a desire for Naaman to respond to God’s word. Sometimes God presents His word to us in such a way, without any attractive packaging, just bald demands- to test and develop our obedience. 5:14 The way Naaman was effectively born again by dipping in water looks forward to Christian baptism, which also requires humility to accept. 5:15,16 Elisha was accustomed to thinking of himself in terms of a man who stood before Yahweh, in His presence, before His face (3:14 Hebrew). Naaman and his "company" 'stood before' Elisha. Remember that this was the Syrian army General, standing with a "company" in Israelite territory, at Elisha's house- at a time when 'companies' of Syrian soldiers carried out raids upon Israel (:2). Any Israelite would've been terrified. But Elisha responds that he 'stands before' Yahweh more than before Naaman (:16). Elisha was so aware of how we live in God's presence, before His very face, that he wasn't the least phased by this. If only we can share this sense, of standing in God's presence... the most frightening of human situations will have little effective 'presence' because we know we are ultimately in God's presence, 24/7. But how, concretely and actually, did Elisha come to have this serenity? A clue is to be found in how in 6:17, Elisha prays that God will open the eyes of his frightened servant to behold the Angelic horses and chariots around him. Elisha was so confident they were there, that he didn't ask to see them himself. He knew they were there; he simply asked that his servant be enabled to see the unseen reality which he calmly knew was there. He of course had had first hand experience of the Angelic horses and chariots (a kind of cherubim) when he had been parted from Elijah in 2:11. This must have left an abiding impression upon him- he knew that those Angelic horses and chariots were in fact permanently encamped around him (cp. Ps. 34:7). And so we see significance in the way that Naaman came to Elisha's house with his horses and chariot- for this is surely a development of a theme of connection between Elisha, horses and chariots (:9). Most other Israelites would've been petrified to have the horses and chariots of Naaman and a company of Syrians pull up at their door. But Elisha was quite unphased. He didn't even bother coming out to meet Naaman, knowing this was an insult to Naaman's pride, and was humanly certain to result in Naaman simply killing him and burning his house. Surely the horses-chariot-Elisha connection taught Elisha that in fact there were Angelic horses and chariots around him- he need not fear any human horse and chariot. There is no hint that Angelic activity is any less, or operates in any different way, for us today. 5:17 This shows that Naaman was influenced by the surrounding superstition that one could only worship a god of another nation whilst on their soil. But this is not explicitly corrected by Elisha; he simply but powerfully comments: “Go in peace”. In other words, Elisha was saying that the peace experienced by Naaman in his daily life was so wondrous that it obviated the need for worshipping on Israeli soil. This is a similar approach to that taken by Jesus with regard to demons. See on 5:27. 5:18 This disproves the theory of guilt by association. God was willing to tolerate this believer in Him still being associated with a pagan religion. This concession of weakness shouldn’t be used to justify us in living lives which are indistinguishable from those of unbelievers; we are the light of the world, and if we hide that light, then it will go out (Mt. 5:14). But there are times when our faith in the true God is a matter of the heart, and our external appearance may have to be otherwise because of the life situation we are in; and God is understanding of that, as we should be towards other believers. And yet Naaman chose a lower level of serving God than he could have chosen. The higher level would surely have been, as Daniel’s friends, not to bow down to an idol. And when we ask what the rest of the Jews in Babylon did on that occasion, it seems hard to avoid the conclusion that they took the lower level which Naaman did- and bowed down. But when we choose a lower level of service, God works to inspire us to take higher levels- see on 6:11. 5:27 The idea of transference of disease from one to another was a common Semitic perception, and it’s an idea accommodated by God although it’s incorrect. God threatened to make the diseases of the inhabitants of Canaan and Egypt to cleave to Israel if they were disobedient (Dt. 28:21,60). Here too, as with the curing of Legion, there is Divine accommodation to the ideas of disease transference which people had at the time. This explains why the New Testament can speak of ‘demons’ whilst also denying their actual existence- it’s an accommodation to the ideas of the time. This is in harmony with similar accommodations in the Old Testament. See on 5:17. 6:11 Naaman wanted to be a secret believer, even bowing down to Rimmon to keep his boss happy. God seems to have allowed this, but He worked in Naaman’s life, so that his faith was no longer secret. For soon after his conversion, his master got the hunch that one of his courtiers was “for the king of Israel”. And Naaman would have been the obvious suspect, as he had gone to Israel and been cured of his leprosy by an Israeli prophet. We then read that the army of Syria came against Elisha the prophet and sought to surround him in order to capture him. They were then judged by God. Could it really be so that Naaman would have led that army? Surely the situation arose so as to force Naaman to resign the job. Thus God worked to stop him being a secret believer, and to remove him from a position where he could not live with a free conscience before the Father. And so God will do in our lives- if we respond. 6:17 Elisha saw with the eyes of faith that the horses and chariots of their enemies were matched by the Angel cherubim around them. He was so certain they were there that he didn’t need to physically see them for himself, but he asked that the eyes of his servant would be opened to see them. We imagine Peter walking confidently through the dark streets with his Angel next to him, and then perhaps phased for a moment by the Angel’s disappearance. But the truth is that the Angel walked with him through every street he ever walked along (Acts 12:10). The actual presence of the Angels in our lives ought to motivate us to live as in the presence of God; the fact we don’t physically see them doesn’t mean they aren’t literally present (1 Cor. 11:10; 1 Tim. 5:21; see on 1 Kings 18:15). 6:23 The showing of such great grace, to the extent of making a feast for them, stopped the aggression recurring. Grace is ultimately the only way to conflict resolution. 6:33 This evil is from Yahweh- Evil in the sense of disaster comes from God; it’s not true that only good things come from God and all negative things from some cosmic ‘Satan’; both good and “evil” come from God (Is. 45:5-7). Why should I wait for Yahweh any longer?- Elisha here has an apparent roughness with the Almighty that could only surely come from his knowing that God fully viewed and knew his inner feelings; and so like David in some of the Psalms, he speaks his rough thoughts before God just as they are, because he knows God sees them anyway. Elisha’s roughness with God isn’t good, but it does reflect a level of intimacy with God which is commendable. 7:2 If Yahweh made windows in heaven- He forgot that there are windows in Heaven (Gen. 7:11; Mal. 3:10) through which blessing can be given. He believed in God's existence. But he didn't think this God could do much, and he doubted whether He would ever practically intervene in human affairs. We must be aware of this same tendency. 7:4 These utterly desperate men were chosen by God to be the heralds of good news (:9)- the Gospel. He uses desperate people today, even middle class comfortable people who perceive their desperation, as the means of His witness. 7:8 Jesus used this as the basis for His parable about the man who finds the Gospel, as the treasure in a field, and hides it (Mt. 13:44). But surely He intended us to think of what those men did afterwards. They even felt that woe would be unto them if they did not share the good news of what they had found. The same joyful urgency must be ours; and there is a “woe” unto us if we don’t share that good news (1 Cor. 9:16). 7:18 Jehoshaphat was on balance a righteous man, but his association with the sinful family of Ahab (see on 3:7) led to his children going astray from God because of his weakness in that area, which they repeated (:28). Whilst we may retain the faith, our spiritual weaknesses can lead to our children losing it. 8:5 There are no coincidences in the lives of those with whom God is working; there is meaning attached to events, and perceiving this will preserve us from the sense of meaninglessness and pointlessness which afflicts so many unbelievers. 8:9 Even unbelievers in their extremity try to turn to God; there is in all people some level of conscience toward God, a sense of their need for Him, however deeply buried it is. The task of preaching is to reach down through their defences and connect with that sense. 8:10 Here we see how God is aware of multiple possible futures. To see individuals time and again messing up what He has made potentially possible must be so sad for Him (see too Mt. 11:21,22). 9:2 Jehu arising from amongst his brethren and being anointed pointed forward to how Christ was anointed with oil above His brethren- for He was of our nature, one of us (Heb. 1:9). Jehu could have been a Messiah figure, but his pride in later life stopped him realizing his potential. 9:19 Fall in behind me- The emphasis seems to be on the word “me” (:18,32; 10:6). Jehu did God’s work at this time, and yet he was very self-centred in doing it, seeking a personal following and glory to himself rather than to God. Our involvement in God’s work doesn’t automatically make our attitudes correct in all ways. Jehu seems to have used his service of God as an outlet for his anger (:20). See on 10:11. 9:20 Truly our style of driving often reflects our inner state of mind. 9:27 Ahaziah failed to learn from Biblical history- that association with the wicked kings of Israel would be to his own hurt (see on 3:7; 7:18). The Bible is largely history, specially selected for us to learn from and discern the relevance to our own lives (Rom. 15:4). 9:36 This is the word of Yahweh- God’s word is put for its fulfilment- so certain is it of fulfilment. 10:11 This would seem unethical; Jehu was being wilfully aggressive and bloodthirsty, justifying it in the name of zeal for God. Likewise he killed Ahaziah simply on the basis of ‘guilt by association’ with Joram, and then killed 42 of Ahaziah’s relatives by taking ‘guilt by association’ to yet another degree (:14). Defence of God’s Truth must never become an outlet for our native anger and dysfunction; see on 9:19. 10:16 See my zeal for Yahweh- True zeal for God is never so overtly self projected. Pride in spirituality means we’re not spiritual and simply ‘don’t get it’. Claiming to be obedient to God’s word (:17) can never justify such spiritual pride; such pride is utterly reprehensible to God and we likewise should turn away from it when we encounter it. 10:18 This deceitful behaviour is surely unethical. We cannot justify unethical behaviour in the name of obeying God and defending His Truth against apostasy. So many sins have been committed in the name of this. Elijah gathered together all the Baal worshippers to a showdown on Carmel, but he did so on a transparent basis. 10:30 Hosea says that the blood of Jezreel would be visited upon the house of Jehu (Hos. 1:4). At Jezreel, Jehu had killed Ahab’s family in a quite literal bloodbath. And God had commented that because Jehu had done this and thus fulfilled His word, Jehu’s family would reign for the next four generations. So why, then, does Hosea start talking about punishing the house of Jehu for what they did to the house of Ahab? Jehu became proud about the manner in which he had been the channel for God’s purpose to be fulfilled, inviting others to come and behold his zeal for God (:16). Jehu and his children showed themselves to not really be spiritually minded, and yet they prided themselves in having physically done God’s will. And because of this, Hosea talks in such angry terms about retribution for what they had done; the house of Jehu’s act of obedience to God actually became something his family had to be punished for, because they had done it in a proud spirit. We see this all the time around us. Men and women who clearly are instruments in God’s hand, like the Assyrians were, doing His will… but being proud about it and becoming exalted in their own eyes because of it. And God through Hosea is so sensitive to the awfulness of this. 10:31 Jehu took no heed to walk in the law of Yahweh- Jehu had been obedient to God’s word about Ahab’s family and Baal as an outlet for his own aggression, anger and pride. But Jehu clearly didn’t really have a heart for God, because he only focused on those aspects of God’s word which were convenient to him and reinforced his own personality type. An obsession with criticism of others for their doctrinal and moral weaknesses has often been passed off as zeal for God’s word, when the whole spirit of God’s word in other matters has been totally ignored. God asks for our devotion to His word in every part of our hearts and living, not just as a justification for what we naturally would like to do. 11:1 In response to the murder of her son, Athaliah murdered others. The cycle of hurt continues like this in so many lives, doing to others what was done to us. Only the gospel of grace in Christ can break this cycle. 11:17 The covenant between Yahweh and the king was related to the covenant between the king and the people. Our covenant relationship with God isn't just between Him and us. It demands that we are in covenant with His people; we can't love Him that begat without loving those others begotten by Him (1 Jn. 4:9). 11:18 This purge of Baal worship came soon after Jehu’s purge of Baal worship (10:18). The reforms were obviously never far reaching. We can remove the external appearance of sin from our lives, but it will come back quickly unless we replace sinful practices with dedication to the true God. Otherwise, the void created will again be filled by sin, in one form or another. Breaking sinful habits must be followed up by replacing them with something spiritual, or else we will revert again to sin. 12:2 Our spirituality can be dominated by others for a time, but in the end, God wants us to have a personal relationship with Him- and therefore He has a way of removing all the props which we have had holding up our faith, and then we are left alone to directly engage with Him totally on our own initiative. This may account for some of the midlife crises of faith which there are amongst believers who were raised in the Faith. 12:18 He went away from Jerusalem- Sometimes our faithless actions appear to have worked out and bought us the deliverance we sought, but the parallel record in Chronicles makes it clear that Jehoash paid for this with the loss of his personal faith. 13:14 Elijah’s example clearly influenced Elisha, both in the nature of the miracles which he performed, and in how when Elisha died, he was likewise seen as “My father, the chariot of Israel, and the horseman thereof”. How Elisha related to Elijah, was how people came to relate to Elisha. This is not only a neat cameo of the immense personal influence which we have upon each other; it reflects how Elisha learnt the lesson from Elijah, which we too must learn, of freely and totally absorbing ourselves in the progress of God’s Angelic, cherubic work to bring about His glory and not our own. See on 2:12. 13:19 Yahweh in some ways and at some times allows Himself to be limited by the perceptions and faith of His people. If Joash had perceived deeper what Elisha meant and discerned the symbolism of the arrows, he would have smitten many times and the Syrian threat would have been eliminated entirely. But he didn’t, and therefore Elijah was frustrated with him; the great potential victory was limited by a man’s lack of spiritual perception. Whilst theoretical understanding alone can’t save anyone, it plays a part in the quality and nature of a person’s relationship with their God. 13:21 Jesus was the first person to be given immortality (1 Cor. 15:20,23); the people resurrected before His time must therefore have died again. God’s plan is that all His people will be rewarded with immortality together, at the final resurrection and judgment (Heb. 11:39,40; 2 Tim. 4:8). 14:2 His mother’s name- So often this is mentioned in the records of the kings, teaching us the huge spiritual influence of a mother upon her children throughout their lives. 14:3 There are levels of devotion to God, reflected in the different levels of reward at the last day (Lk. 19:17-19; 1 Cor. 15:41). If we have a heart for God, we won’t be minimalists in His service; motivated by love for Him rather than any seeking of personal glory in the future, we will seek to always serve Him on the highest level we can. Amaziah served God on the same level as his father; our service of God shouldn’t be a living out of parental expectation, nor should we feel content and self satisfied because we serve God on the level of our parents. We are to be motivated by our personal engagement with the fact God has loved us and His Son died for us, rather than comparing ourselves amongst ourselves; for Christ is to be for us the only standard of comparison (2 Cor. 10:12). The common phrase in the record of the Kings of Judah "he did that which was right in the eyes of Yahweh", used here in :3 about both Joash and Amaziah, is hard to conclusively interpret. Many of the men of whom this was said were not very righteous, and some (e.g. Uzziah, 15:34) were punished for their later apostasy. Possible explanations are that they repented at the end, although unrecorded; or that they were initially righteous; or that God counted them as righteous although they did wrong things. Or perhaps a man can do (and maybe this is the word that needs emphasis) what is right in God's eyes, but still ultimately be condemned because his heart is far from God. Amaziah "did that which was right in the eyes of Yahweh, yet not like (i.e. he didn't do his works like) David his father" must be paralleled with 2 Chron. 25:2: "he did that which was right in the eyes of Yahweh, but not with a perfect heart". Working for God as David did therefore involved doing the works with a perfect heart, the open conscience which David so often displayed in the Psalms. But Amaziah was deceived by the fact he was doing good works, and the real essence of his relationship with God was thereby overlooked. And we too can project a shadow-self to others, an image of spirituality, which eventually we come to believe ourselves; when our heart is far from God. This feature of human nature explains why a man or woman can reach such heights of devotion and then turn round and walk away from it all, out into the darkness of the world. 14:10 Success in the cut and thrust of worldly life shouldn’t lead us to have the same attitude to our brethren, even if we consider ourselves stronger than them spiritually. We shouldn’t treat our weaker brethren as if they are unbelieving worldlings; that was the mistake Amaziah made here. 14:12 Each man to his tent- Although by this time the people were living in houses, their home was described idiomatically as their ‘tent’ (8:21). This was a reflection of the fact that God always wants His people to live in recognition of the fact that this life isn’t permanent, we are travellers on a journey towards His future Kingdom, which will be our permanent home (Heb. 13:14). We need to bear this in mind in how we perceive our room, apartment, house or mansion in which we live. All is temporary, a mere tent on the journey; and our resources of time and money should go towards the final destination rather than our temporary abode. 14:26 We must watch out for the tendency to think that because a man has dug a hole and then fallen into it, well, that’s his problem. But we have all done this, hopelessly so. We only have ourselves to blame. And yet God has rushed to us in Christ. He was grieved for the affliction of Israel, even though it was purely due to their own sin and wilful rebellion. If a man has fallen into his own hole, he is still down there and needs help, however he got there. 15:3 According to all that his father Amaziah had done- See on 14:3. 15:9 The sins of Jeroboam the son of Nebat, with which he made Israel to sin- This phrase runs like a refrain throughout the record of Israel’s kings. The sinfulness of sin is that it leads others into sin; Jeroboam’s sin influenced many generations to sin in the same way. The Biblical record so strongly emphasizes this. Our behaviour has more influence upon others, for good or for bad, than we may realize; and it continues after our death, even if in this life we may consider ourselves insignificant to others. Jeroboam’s sin was in creating another centre of worship apart from the temple; thus he divided God’s people. It could be argued that this sin of division was what was so extremely serious to God. Our divisive behaviour, or upholding the divisions created by others, will have serious consequence to the next generation of believers. 16:2 In the eyes of Yahweh- This could be a reference to the Angels. Although God can see and know and do all things directly of Himself, it seems He always prefers to work through some kind of mechanism. The Angels are perhaps the mechanism by which He is aware of all things in the lives of people on earth; we are continually in their presence, with them feeding back to God the situations on earth, and perhaps discussing them in the court of Heaven (1 Kings 22:22). 16:7 I am your servant and your son- Ahaz ought to have been aware that he was Yahweh’s servant and son, and that Yahweh’s claims upon us are total. We can’t serve two masters. Ahaz likely justified himself by arguing that this was merely a form of words which was common at the time; but words have meanings and power, and by them we shall be judged at the last day (Mt. 12:37). We use so many of them each day that we can forget their colossal significance to God. 16:13 He offered a peace offering, when actually he was not at peace with God at all (other examples in 1 Sam. 13:9; Prov. 7:14; Am. 5:22). We must examine ourselves to know whether we are at peace with God before offering the “peace offering” of the breaking of bread service. 16:20 Wicked kings usually had wicked sons, but good king Hezekiah demonstrates that bad parents don’t have to have bad children; the power of God’s word is such that the vicious circle can be broken. For in God’s word and for those baptized into Christ, there is the power of new creation whereby we can be genuinely born again (Jn. 3:3-5; 2 Cor. 5:17). 17:13-18 Sinfulness is sometimes attached to people apart from the things which they currently do wrong. Sin is serious. The last generation of Israel were judged for their sins not because they had sinned more than any other generation, but because the collective, unforgiven sin of Israel had accumulated with God to such an extent that His judgments fell (:2,13-18; Ez. 9:9). God is not passive and overlooking of unrepented sin, even though His patience and the high threshold level He sets before releasing judgment may make it look like this. The Amorites were likewise only judged once the cup of their iniquities reached a certain level (Gen. 15:16). The passage of time doesn’t work some kind of atonement for our sins. 17:15 They followed vanity, and became vain- The idols are referred to as ‘vanities’; those who served them became like them (Ps. 115:8; 135:18). Whilst we may not worship pieces of wood and stone, modern society is full of vain things such as never before. The internet has encouraged this to a huge extent, so that by the end of many modern lives all a person has done is to click a mouse and hit some keys millions of times in vain entertainment and frivolous social commentary, and watched thousands of hours of movies flickering on a screen. Yet the service of the true God provides us with opportunities to use our lives with ultimate, eternal significance and purpose. If we serve Him, the God of ultimate purpose, the antithesis of vanity, we shall become like Him. 17:33,34 They feared Yahweh... they don’t fear Yahweh- To serve God and also other gods isn’t serving God at all- because we simply can’t serve two masters (Mt. 6:24). There is no third way- devotion to God must be total, for anything less than that is effectively not serving Him at all. This explains the apparently exaggerated language of :15,16- that Israel rejected all God’s laws and broke every one of His commandments. It’s clear they didn’t become atheists, they didn’t formally reject Yahweh, they kept some of His laws. But because their obedience was so incomplete, God counted them as effectively not being obedient at all. Clearly enough, our relationship with God can’t be a mere hobby, an intellectual assent, an occasional fascination, a Sundays only affair. It has to be of the heart. 17:37 The commandment which He wrote for you- God’s word is personally written to each generation; the words of the Bible aren’t of merely historical interest. God’s word is a living word, speaking to and written for each generation in a way which human words and documents can never be. 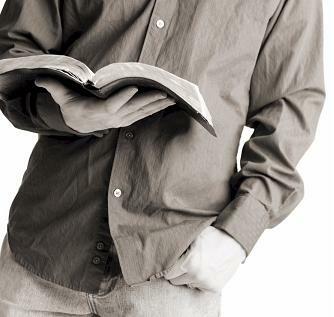 Because the Bible is literature, we can too easily assume it is only literature. As a genre of communication, it is unique; such is the wonder of the inspired Bible. 18:4 The bronze serpent had become a totem and idol, it was worshipped for what it physically was rather than there being any perception of the salvation in Christ which it had prefigured. The cross has been likewise abused in many Christian traditions. 18:6 He joined with Yahweh- This is what God seeks- that we should intertwine our life and spirit with His. The Hebrew idea of ‘joining’ suggests marriage (Mt. 19:6), and by entering covenant relationship with God through joining to Christ in baptism, this is effectively what we have done. This is an amazing concept- that the God of the universe would join in such intimate relationship with tiny people on this earth. The difference between us is huge beyond words; no wonder we have such difficulty in understanding and responding to His love. 18:13 This stands in intended contrast to the chapter so far, which has described Hezekiah’s obedience in such stellar language. The point simply is that bad things happen to good people; commitment to God doesn’t shield us from disaster. In the fourteenth year of king Hezekiah- Hezekiah was mortally sick but then healed by God and given an extra 15 years to live (2 Kings 20:6). He reigned 29 years (:2); therefore this sickness was also in the fourteenth year of his reign. The invasion and his sickness were at the same time. Sometimes the coincidence of serious trials in our lives is such that we are left with no other conclusion but that this has to be God’s hand; of itself this destroys any possibility that God gives only the good and there is some cosmic ‘Satan’ being bringing the evil. Hezekiah’s sickness may explain his uncharacteristic lack of faith displayed in :14-16 and :21; or it could be that those decisions were taken in his name by others due to his sickness. 18:20 In the face of overwhelming human odds against him, Hezekiah trusted in the more abstract things of faith in God’s word; to the eyes of the world, this is simply laughable. But in life after life, situation after situation, such faith is justified- not only in Biblical history but in examples of faithful believers all around us. 18:26 The fact Rabshakeh spoke Hebrew suggests he was a Jew who had turned traitor. Hence he was aware of the prophet Micah’s words (see on :31). 18:31 Eating from one’s own vine and fig tree is the very language which the contemporary prophet Micah had used to describe God’s Kingdom on earth (Mic. 4:4). Rabshakeh was presenting the kingdom of Assyria as being the promised Kingdom of God on earth. The kingdoms of this world stand as an imitation Kingdom of God; the subliminal message of advertising and much human reasoning is that if we go the way of the world, we can have our promised Kingdom here and now. This was the very temptation with which Jesus struggled and overcame in the wilderness (Mt. 4:8). 19:1,2 Our response to crisis should be like Hezekiah’s- to turn to God in prayer, and to His word and His people, rather than to desperate worldly alternatives. 19:3 A day of trouble- The phrase in the Greek Septuagint version is that also used in Dan. 12:1 and Mt. 24:21 about the latter day “time of trouble” for Israel. There will therefore be an equivalent of the Assyrian invader in the last days, and Jerusalem’s deliverance will be by means of God’s dramatic intervention in the return of Christ to earth to save Israel from their Middle Eastern invaders. The whole incident can be read as a detailed type of the latter day invasion of Israel before Christ returns. 19:4 The words which Yahweh your God has heard- God hears every word and is fully aware of the detail of every situation which we face. Isaiah picks up this sentence and rephrases it by telling Hezekiah to not “be afraid of the words that you have heard” (:6). The words we hear which so frighten us are in fact heard by God. 19:7 I will put a spirit in him- The Hebrew word translated “spirit” in the Old Testament has a wide range of meaning, but here it refers to the mind. God can give people an attitude of mind; He can give us a holy spirit or mindset if we seek it. And He can just as easily give people a spirit of fear, making them turn away from doing what is the humanly obvious thing to do, as He did here with Rabshakeh. 19:14 Whilst God sees and knows all things, it can be psychologically good for us to place the documents which are causing us grief ‘before the Lord’ and pray over them. God hears and reads those words just as much as we do (see on :4). 19:16 Hear the words of Sennacherib- On one level, Hezekiah knew that Yahweh had heard those words (:4), but he still asks God to hear them and respond to them. And God patiently assures him, that He has indeed heard (:20). Our faith is rarely if ever total; we know of God’s possibilities on one level, and yet doubt them in practice. When the disciples prayed “Look upon their threatenings…” (Acts 4:29), they were surely inspired by the praying of Hezekiah here, and used the same words. Daniel seems to also have paraphrased Hezekiah’s prayer in his prayer of Dan. 9:18. And these examples ought to specifically fire our prayer life, too, quoting words of Biblical prayers as part of our prayers. And yet Hezekiah’s prayer had been inspired by the prayers of those who had in turn gone before him- he is alluding to the prayers of repentant Israel (1 Kings 18:39), Jehoshaphat (2 Chron. 20:6) and Solomon (2 Chron. 6:40). 19:19 That all the kingdoms of the earth may know- The motivation for our prayer requests should always be the ultimate glory of God. 19:21 The “daughter of Zion” refers to the faithful remnant within Jerusalem, centred around Hezekiah. But they hardly appeared to be confidently ridiculing the Assyrians; they were scared and doubting whether God really could save them (see on :16). But because they did have some faith, God counted this as total faith, in the same way as He imputes righteousness to those in Christ. Their weak faith was counted by God as utter confidence. 19:22 That attitudes are read as prayers is reflected in the way that Rabshakeh’s arrogance against Yahweh is described as him lifting up his eyes against God. By contrast, Hezekiah prayed at the same time: “Unto you do I lift up my eyes” (Ps. 123:1). ‘Lifting up eyes’ is therefore an idiom for prayer. Rabshakeh didn’t consciously pray blasphemous words to God, but his attitude was counted as a prayer. 20:1-3 Here we see how God can state an intended purpose of His in very definite terms, as if there is no changing it- and yet such is His sensitivity to human prayer and love for Him, that He is willing to change it. He did the same when Moses persuaded Him not to destroy Israel as He planned (Ex. 32). There is often a gap between God’s statement of His purpose and the fulfilment of it, and during that gap period we can reason with Him to act otherwise. His purpose is perhaps structured this way so that we can learn to pray more intensely and connect with Him more intimately than would otherwise be the case. It also inspires us to be spiritually ambitious enough to think of changing God’s intended plan of action. 20:5 Prayer isn’t always specific words; God understands situations as prayers. Thus here we see Hezekiah's tears paralleled with his words. God interpreted his tears as a prayer. Hezekiah had earlier requested for God to both hear and see the words of Sennacherib (19:26), as if these too were to be read as a prayer for Divine intervention. 20:8 Like Gideon wanting a sign, Hezekiah’s faith wasn’t total; and yet God still counted it as faith. 20:19 This seems a very selfish and short termist thing to say. It seems Hezekiah overcame so much- bad parental background, apostasy in his nation, terminal sickness, invasion- and yet failed to get through the hoop of materialism, acclaim, acceptance and the soft life. Many modern disciples are challenged likewise. We must realize the massive power of these temptations. See on 23:3. 21:4,7 Because the Name was called upon the temple, therefore it should have been simply impossible that those who realized this could worship idols in it; whatever has God's Name called upon it, whatever bears His image, must be devoted to Him alone. We who are baptized into His Name, who have that Name called upon us, cannot have idols in our lives. 21:14 I will cast off - God has cast off His people (see too Zech. 10:6); and yet, because a minority of them will always accept Christ, it is not true that God has cast off His people in a total sense (Rom. 11:1). It was only because of this remnant that Israel have not become like Sodom (Rom. 9:29)- even though Old Testament passages such as Ezekiel 16 clearly liken Jerusalem to Sodom. Yet they are not as Sodom ultimately, for the sake of the remnant who will believe. In all this we see the very real tension within God, reflective of His extreme love for His wayward people. 21:16 2 Chron. 33:13,23 describe Manasseh’s repentance and humbling of himself; but that isn’t mentioned in the record here in 2 Kings. We learn from this the importance of comparing Scripture with Scripture in order to build up a more complete picture. Perhaps God wrote the Bible in this way in order to reveal things in truth to those who humbly and sensitively read all His word, and to confuse those who read partially without due reverence toward it. 22:11 Josiah lived a life pleasing to God, as did others of his generation, and yet he was in ignorance of all the details of God’s law. Full knowledge, even of some quite important things, didn't stop Josiah from being credited with doing what was right before God and not 'turning aside to the right hand or to the left' (:2). He was judged according to how well he responded to that which he did know. And this may be a helpful window for us into how we should feel towards those who sincerely seek to follow the Lord and yet with imperfect knowledge. Time and again the prophets judged Israel according to their "ways", rather than according to their theological or academic knowledge (Ez. 18:30). We must bear this in mind in considering the status of those who only have partial access to or understanding of God’s word. And yet once Josiah knew these words of God, he eagerly obeyed them as far as he could and asked for forgiveness for his disobedience to them- thus recognizing that sins of ignorance are still a felt offence against God. Our ignorance doesn’t stop Him being hurt by our disobedience, just as others’ ignorance doesn’t mean they don’t hurt us by their inappropriate words or actions. Hence sins of ignorance still required atonement under the Law of Moses. 22:13 It would seem that the part of the book of the law which was found included God’s threatened judgments against Israel for their disobedience; it was “the book of the covenant” (23:2) and likely included the curses of Lev. 26 and Dt.28. Yet Jeremiah comments that when this was discovered, this word of God was for him the joy and rejoicing of his heart and he fed on it with joy (Jer. 15:16). All of God’s word, including those parts of the Old Testament which some may consider as repetitive judgments which we’d rather not read, should be fed on by us and be some source of joy to us. 22:14 The fact that a woman was a prophetess at this time shows that women aren’t disqualified from speaking forth God’s word in any context. 22:19 Your heart was tender- How is our response when a new understanding of the word's teaching in practical, everyday issues stares us in the face from the pages of Scripture? 23:3 God had promised Josiah that all would be well in his lifetime, but He would judge the next generation for their sins. Josiah learnt the lesson of Hezekiah, who appeared to be satisfied with that (see on 20:19); for Josiah launches a major campaign to return Judah to Yahweh and to re-enter covenant with Him. It seems that Josiah believed that Judah’s repentance could really change the intention of God to destroy Israel in the next generation. We too should have this kind of concern for the body of believers in the next generation, rather than being merely content that we ourselves remain in fellowship with God. 23:4 When last did you read / understand something from Scripture, and then get up and do something real, concrete and actual about it? Josiah discovered the book of the Law- and he then went on to do something about it in practice. Reflect through what he did: Passover kept in Jerusalem (23:21-23) = Dt. 16:1-8; removed Asherahs (23:4,6,14) = Dt. 12:3; 16:21; star worship (23:4,11) = Dt. 17:3; the ‘high places’ and cults (23:8-20) = Dt. 12; child sacrifice (23:10) = Dt. 12:31; 18:10; the cultic stones (23:14) = Dt. 12:3; 16:22; conjuring up the dead (23:24) = Dt. 18:11. It would seem that Josiah was motivated by Deuteronomy 12-18, perhaps this was part of the book of the covenant which was discovered. Here we have a man who allowed Scripture to live in his life, and who was immediately motivated by it to tangible action. His was not a religion of fine Sunday morning words, intellectually admired and aesthetically pleasing. The word should likewise be made flesh in us as it was in Christ. What is required is passionate, real, actual, tangible, concrete action and re-action to what we read and understand. 23:7 The fact these sexual abominations were committed within the temple of God suggests that they had become part of the ritual of Yahweh worship, in the same way as the letters of Paul and Christ to the churches suggest that sexual immorality became part of apostate Christian worship in the first century. The tendency to mix spirituality with illicit sexuality has always been a temptation for the people of God and one of their most persistent weaknesses; we must beware of it. 23:21 The Law of Moses stated that Israel must keep the Passover, and if they didn’t, or kept it incorrectly, then their covenant relationship with God would be fractured (Num. 9:13). But it seems that whilst the legislation about the Passover had been lost, they hadn’t kept the Passover properly, if at all. And yet there were many faithful individuals who lived during that time when the book was lost who still retained relationship with God. This is no reason to conclude that obedience to God’s covenant is irrelevant, or that it’s all simply a matter of the heart and conscience; but it does show the extent of God’s eager acceptance of people despite their ignorance of His word. 24:1 Three years- During which time the attacks of :2 occurred. This corresponds exactly with other indications that in the latter day judgment of Israel there will be an extended period of Arab raiding and desolation of Israel (for three and a half years? ), culminating in the final invasion of the land by 'Babylon' and her smaller Arab allies in order to take Jerusalem. 24:3 For the sins of Manasseh- A whole community can be damaged by the long term influence and consequence of one man’s sin, even if he later repents as Manasseh did. 24:20 God’s anger was such that He propelled Zedekiah and Judah further down the downward spiral they had chosen. He has the ability to give people mindsets and to make decisions which are humanly unwise; and we see Him doing this here, by making Zedekiah rebel against the king of Babylon, when this was political suicide. And yet as the book of Jeremiah makes clear, God at the same time was pleading with Zedekiah through the prophet Jeremiah to repent. So whilst God confirms people in the downward spiral in which they chose to go, He still earnestly seeks their repentance and doesn’t abandon them totally until they themselves have totally broken away from Him and He can do no more without excessively controlling their own freewill. 25:2 The city was entered into- Judging Israel like this wasn’t done by God in a flash of anger but after huge internal turmoil. He had passionately declared in an outburst of love for His wayward people “I will not enter into the city” (Hos. 11:9- the same Hebrew word is used as here). His condemnation of His people is very hard for Him, and is a result of much thinking, re-thinking and struggle about it (Hos. 11:8). Those believers who fear God will condemn them should take comfort from this- that He reveals Himself as struggling within Himself about doing this, and it is not something He wishes to do. 25:5 Overtook him in the plains of Jericho- The parable of the good Samaritan speaks about a man taking this same journey, from Jerusalem to Jericho, and being attacked and overcome on the way- and yet restored by grace (Lk. 10:30). The injured man of the parable represents each of us; and yet he is based upon Zedekiah, who had been given every opportunity to heed God’s word through Jeremiah and yet through human weakness and peer pressure had not done so. Zedekiah in all his pathetic weakness represents each of us; Christ, the good Samaritan, really does save each of us by grace alone. 25:19 Those who saw the king’s face- This is a technical term describing the king’s inner circle. Yet we are promised that we shall see God’s face at Christ’s return (Job 19:25-27; Rev. 22:4). The prospect is wonderful, almost beyond our grasp to comprehend- that we shall be as it were in God’s inner circle, at the very hub of all existence, His special friends. We who are so weak, dysfunctional, often disinterested and limited; we shall be His special people, forever and ever. See on :29. 25:25 The fact Ishmael, one of the royal family of Judah still at large, killed the Chaldean garrison would have suggested that the response of the Chaldeans would have been to destroy all the Jews who were left in the land. But strangely there’s no record of this. Coupling this with the information in :28 that the king of Babylon for no apparent reason showed great kindness to the king of Judah, we are left with the impression that despite all Judah’s sin and the inevitable punishment, God’s grace shone through and He didn’t punish them as their iniquities deserved, but in wrath remembered mercy and grace (Ezra 9:13), perhaps in specific response to Habakkuk’s prayer for this to be the case (Hab. 3:2). 25:29 To eat bread at the king’s table was a sign of special favour. And yet Jesus, King of the cosmos, invites us to do this weekly, as if we are His specially favoured inner circle of friends; to refuse the table is strange indeed, and rejecting an amazing grace. See on :19.